Well we are almost there, literally as I am typing up this blog, the Jury Rehearsal is taking place for the Grand Final tomorrow. For all of you newbies, the jury rehearsal consists of a full run through of tomorrow night (including dummy voting!) and all of the acts perform just as they will tomorrow. 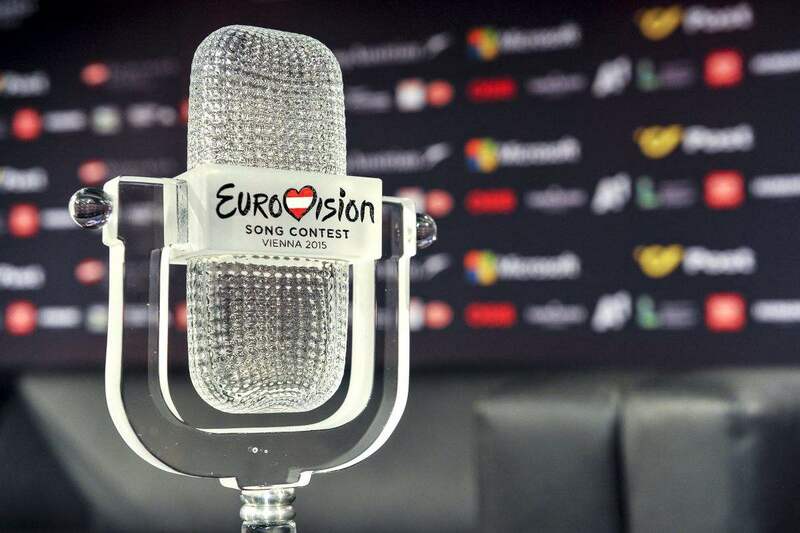 The voting results for each show are a 50/50 mix of televotes (from the public) and jury votes from the National juries throughout Europe (and Australia!). For each country to get a good score tomorrow, they will need to bring their A game in order to impress the juries and to get half of a great score tomorrow. In the past, we have seen casualties on the big night because the juries marked them down. Great examples of this would be Blue singing for the UK in 2011, it came Top 5 with the televotes (which is brilliant for us) but because in their Jury rehearsal they sang rather badly, they came second last in the jury votes. We then ended up with an 11th place, so you can see how it can really affect your score. Anyway, going off topic here. Tomorrow is the Golden night, the night that for just over a year every Euro fan has been gearing up for and preparing for. What are you all doing for the show? For the last two years I was at the contest, this year I am sadly not, but believe me I will be back next year! I make that vow, even if it is to be held in Moscow or Baku, I will be there! I think this year is going to be extremely close, there are a lot of songs that can do well in their own way and so this is why it is important to do well tonight, as well as tomorrow. I think literally every vote is going to count and I can see it being very close in the results tomorrow, none of this runaway winner business. My heart wants Spain to win, I think they have delivered an amazing and catchy song this year and it would be great to see Spain bring home the contest for the first time since 1969 (when they were one of four winners that year – things have changed significantly since then though). I think realistically though, we are looking at either a Swedish, Australian, Italian or Russian win. They are the four songs that I can see going all the way. Sweden, despite being the bookies favourite, has not been given a great draw. It is still a great song and performance and I am sure it will wow the casual viewer on the night but Australia is on after Sweden and I can see that having a bigger impact on viewers, maybe Sweden will be forgotten? Russia and Italy are towards the end of the show and are big and powerful ballads, they are almost guaranteed Top 10 places or the win itself. Italy has apparently blown everybody away in the Press Centre following their performance tonight, so they are most certainly a contender, they will be lapping up those jury votes! What is interesting to note is how bad the running order has gone, most of the uptempo numbers are in the first half, whilst many (and I mean many) ballads are in the second half. There is a common understanding that the later you are in the draw, you tend (and I use that term very lightly) to do much better than earlier placed songs. Does this mean we are heading for a ballad victory? Last years winner was a pop ballad (it’s not exactly uptempo) which came earlier in the draw at number 11. So maybe the view on where you are placed are not all that, who knows? The song performing in slot 11 this time around is Cyprus but I really don’t see that as a potential winner. However, what is interesting to note is that Cyprus is dead centre between two uptempo favourites this year (Sweden and Australia who are performing at 10 and 12 respectively). If you haven’t already seen the full running order for tomorrow, then click here now! Another thing to look out for in the run up to the contest tomorrow, is the voting order. That is the order that each spokesperson will introduce their results to everybody. The reason why this is interesting is because the EBU (the organisers) use the voting patterns from the jury rehearsal to set up a dynamic way of presenting the votes. That’s why if you see all Scandinavian countries presenting their votes towards the end, it is looking rather good for Sweden (or maybe Norway – the only other Nordic country in the Final this year!). So even though I can’t put a finger on a certain winner this year, what I can guarantee is that it will be a great show. The previous two Semi-Finals have been fantastic and I can only imagine the Grand Final is going to be just as amazing. Where are we going to be flying to this time next year? As I am writing this, there is just over 21 hours to go until showtime!